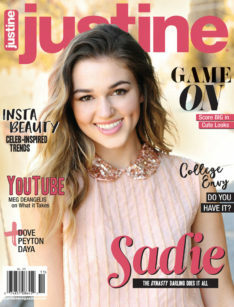 Get a sneak peek at Something in Between in the the latest issue of Justine Magazine. Don’t forget to pre-order the book now at B&N, Amazon, iBooks, or at your favorite local bookstore via Indiebound. Tune in this afternoon to Mel’s Facebook page for a special Facebook Live conversation: 9/27 at 4PM ET. 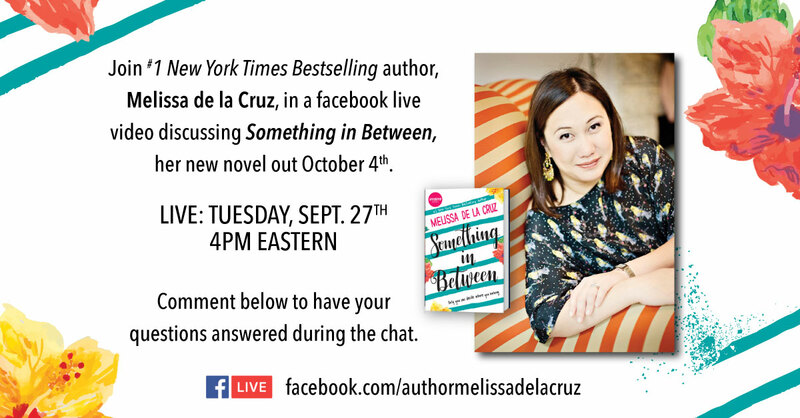 Join me at my Facebook Page tomorrow, Tuesday, September 27 at 4PM Eastern, for a live video discussing Something in Between. Comment below to have your questions answered during the chat. 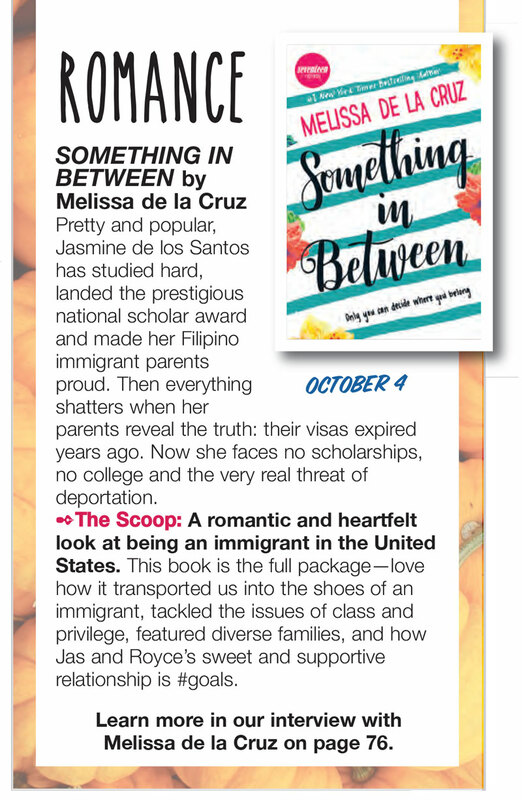 Something in Between comes out on October 4th. You can pre-order now at B&N,Amazon, iBooks, or at your favorite local bookstore via Indiebound. 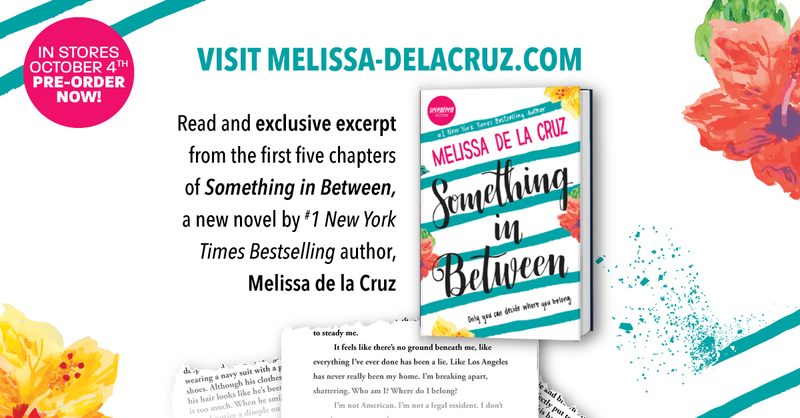 Something in Between comes out on October 4th. You can pre-order now at B&N, Amazon, iBooks, or at your favorite local bookstore via Indiebound. 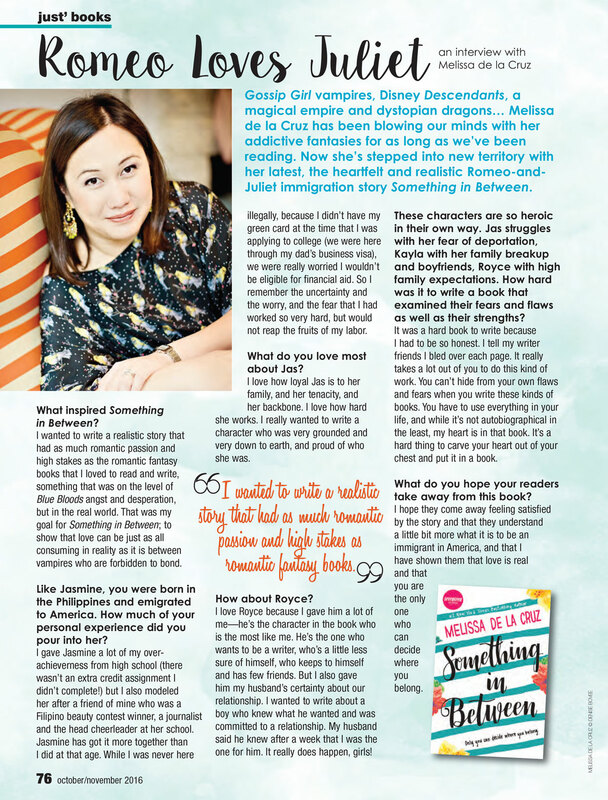 Read an exclusive excerpt and find more information at MELISSA-DELACRUZ.COM.